Luckily department stores hold a special place in the British psyche. 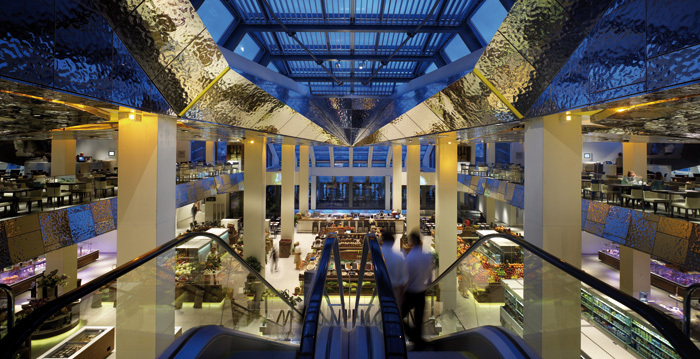 The newly refurbished Harvey Nichols took third place in the Which? Best High Street Shops 2017 report (up from 21st place in 2016 following its complete makeover), while John Lewis was fourth. ‘Department stores got a little bit complacent, but they are still seen as strong brands and a key anchor in any shopping mall development,’ says Jackson. 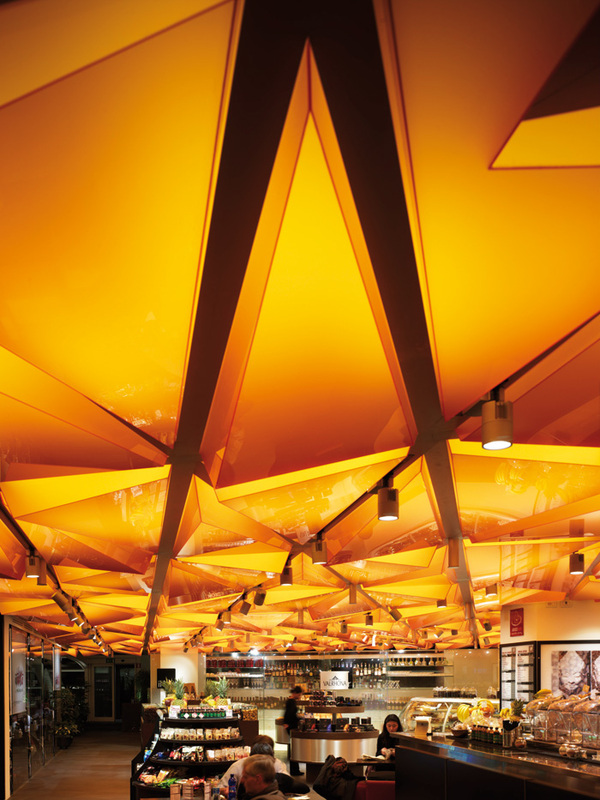 Part of the resurgence in the popularity of department stores worldwide can be attributed to the simple wow factor of amazing design. 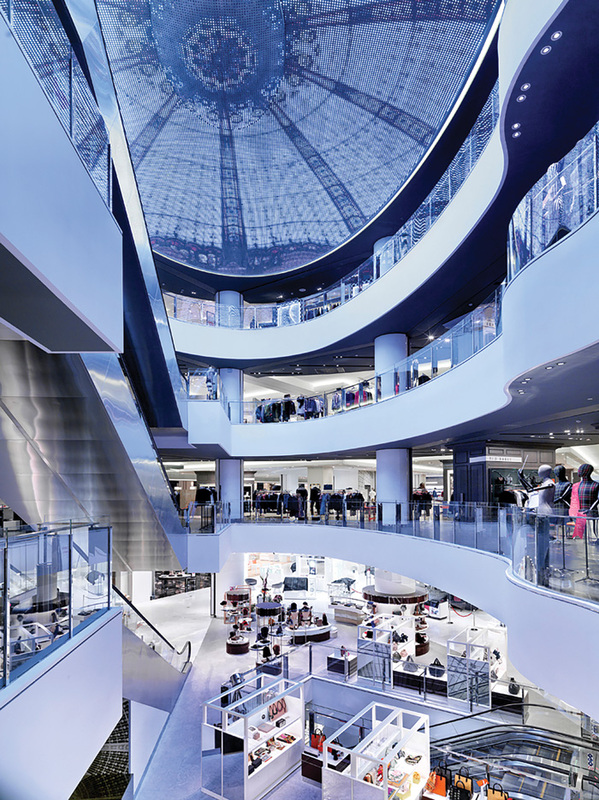 For example, HMKM’s new 18,600 sq m Robinsons department store in Dubai’s Festival City Mall has 600 brands in a stunningly light and airy store featuring dramatic rotundas and vertical garden columns in the atrium, while its 47,000 sq m Galeries Lafayette in Beijing is jaw-droppingly spacious and elegant. In Kuala Lumpur, the new Isetan The Japan Store, designed by Tokyo design firm Glamorous, in association with architects at Tange Associates, oozes wow factor in every square metre and should be enough to get even the most committed internet shopper off the sofa. To help these new customers feel at home, retail designers are creating environments that have a younger and less feminine vibe. 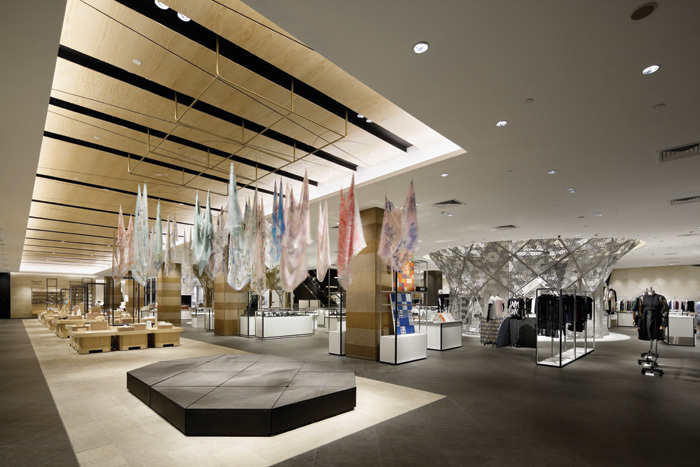 For example, Dalziel & Pow worked with 180-year-old Australian department store David Jones to create a new look for its Melbourne flagship; a monochrome palette with splashes of vibrant orange combined with bespoke digital installations designed to create ‘a more aspirational, fashion-led, premium attitude, differentiating David Jones from its competitors and appealing to a younger, more fashion-forward audience. 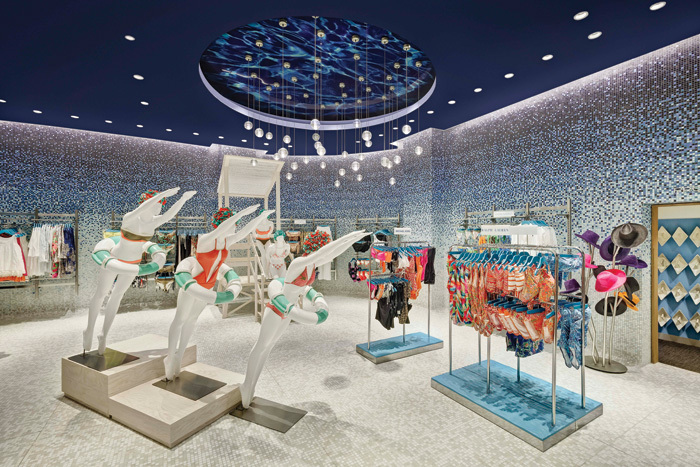 Similarly, the company created a fresh, colourful, youthful look for Chilean department store chain Paris. At the Oberpollinger department store in Munich, Berlin architecture practice Gonzalez Haase created an environment to appeal to young, urban customers, featuring an exposed concrete ceiling with meandering utility pipes, open-work shelving and polished tiles. Meanwhile in Moscow, a tough, industrial vibe was created for the Tsvetnoy Central Market by Lifschutz Davidson Sandilands using a spectacular suspended ceiling of beaten stainless steel. In Colchester that has included creating a new jewellery line based on a Roman piece dug up during the renovations (and donating the original to the town’s museum), and even basing the design of the handbag department around the proportions and designs of the Crittall metal windows once manufactured in the locality. “We wanted to tap into that level of storytelling to create a richness to the design; it’s very important to localise and to personalise,’ he says.